The most influential female politician in the world, Angela Merkel earned a doctorate in physics in East Germany before turning her eye to politics. She won a seat in the Bundestag during the first postreunification general election in December 1990, and Chancellor Helmut Kohl appointed her as a Cabinet minister just one year later. Childless and twice married, the chairwoman of the Christian Democratic Union often comes off as reserved and self-effacing. But as she told TIME in a 2010 interview, she has plenty of confidence: "You could certainly say that I've never underestimated myself. There's nothing wrong with being ambitious." 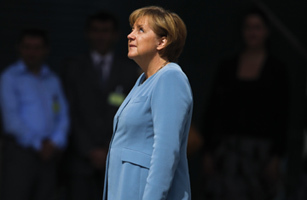 See TIME's 2010 cover story on Angela Merkel.